At 368 meters tall, the TV Tower is the tallest structure in Berlin (and, actually, in the whole of Germany!). What should you look out for during a trip to the top? 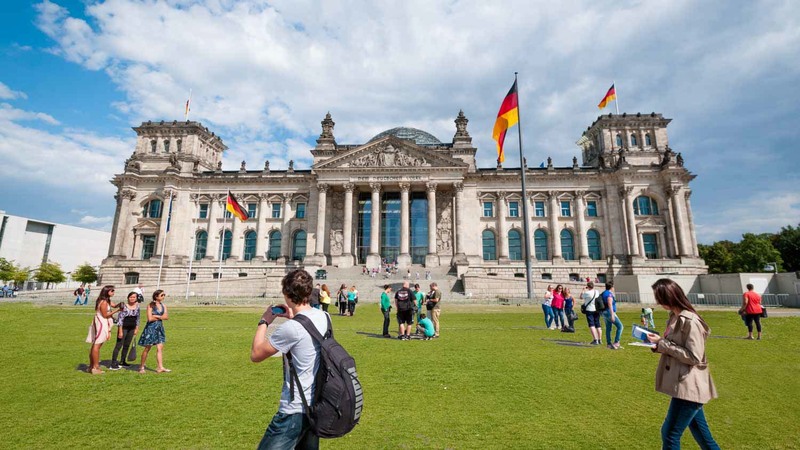 Designed by British architect Sir Norman Foster, the glint of the German parliament building's distinctive glass dome should easily catch your eye. 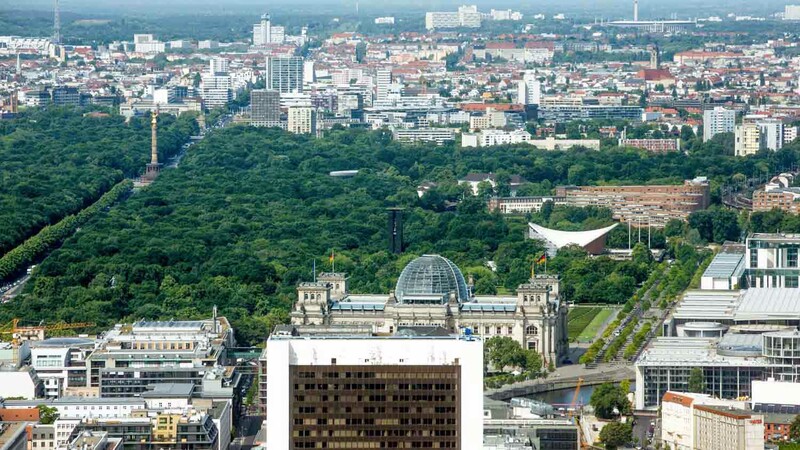 Just south of the Reichstag, you'll see the iconic symbol of German reunification. See if you can spot the white circle of the stadium, where the infamous 1936 Olympics took place. These days, it has become home to arena concerts and important football matches. What's that massive patch of dark green in the middle of the city? It's the Tiergarten, Berlin's answer to Central Park, dating back to 1527. Feeling peckish? No need to come back down to earth. 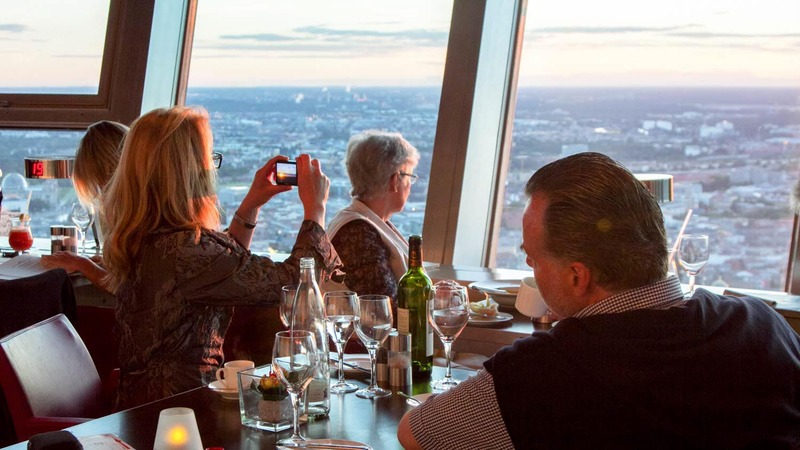 The revolving restaurant allows you to enjoy lunch or dinner while getting 360-degree panoramic views from your seat. Do I need to book a tour in advance? 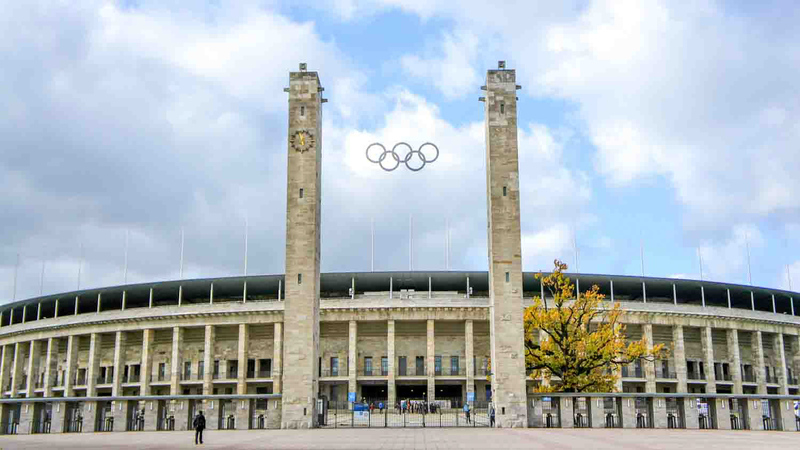 It's advisable, since this is definitely one of the top attractions in Berlin. Many tour options will come with a Fast View ticket, which will take you straight to the front of the line. Any time of year is fine, but the skies will generally be clearer (and the sunset will happen later!) from May onwards. Entry is from 9:00AM until midnight from March to October, and 10:00AM to midnight from November until February. Is the tower wheelchair accessible? Unfortunately, the tower is not wheelchair accessible for reasons of fire evacuation. The TV Tower is a great place to experience Berlin's late evening summer sunset in July or August. Make a dinner reservation, or book a ticket for between 8:30PM - 10:00PM. Normal adult tickets start from €13.00, and more VIP experiences range upwards from there. 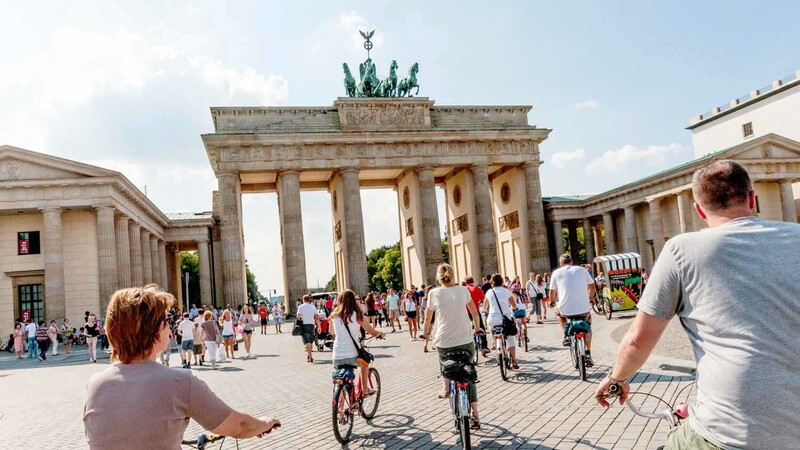 Not necessarily, though there are several Berlin city tours that include a trip to the top. The TV Tower is located in Berlin's Alexanderplatz, a central transportation hub that is easily accessible by multiple U-Bahn, S-Bahn, bus, and tram lines. This attraction is free for children under four years old. There is a time limit on restaurant table reservations, in order to accommodate all guests. Interesting audio-guide and good food at the restaurant. Fabulous way to spend a rainy afternoon! Watching Berlin pass by as we drank Prosecco & enjoyed a delicious Chicken salad. Perfect! Very good nostalgic experience, even if visibility was poor. My husband and I saved this until the final night of our trip. The service was outstanding, we were treated like VIP's. The choice was adequate (3 dishes of each course) however the food was exceptional, real fine dining style. There was unlimited water included, a glass of sparkling wine on arrival and 2 large glasses of very nice wine. The view was outstanding, the atmosphere was tranquil and relaxing and we'll worth the cost. Would highly recommend this. Must go and visit and have a meal at night - it was amazing!! The booking was easy - from the start of the visit to the end the whole evening was amazing that includes the staff and the food. Well worth a re-visit in the future.